Rev. Fr. 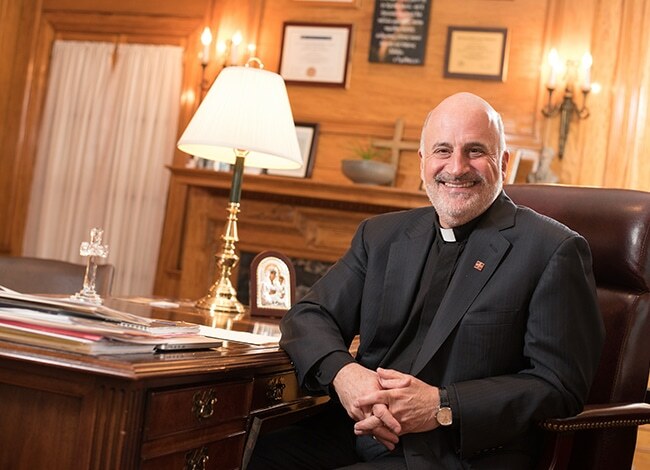 Christopher T. Metropulos, DMin, was named President of Hellenic College Holy Cross Greek Orthodox School of Theology as of July 1, 2015. He formerly served as Senior Pastor of St. Demetrios Greek Orthodox Church in Fort Lauderdale, Florida, a position he held since 1990. He received his bachelor’s degree from Hellenic College, Master of Divinity degree from Holy Cross Greek Orthodox School of Theology, and Doctorate of Ministry from Pittsburgh Theological Seminary. He founded and served as Executive Director of Orthodox Christian Network, the radio and internet ministry of the Assembly of Canonical Orthodox Bishops of the United States, and in many administrative and priestly capacities in the Greek Orthodox Archdiocese of America and HCHC. 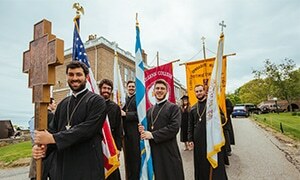 In addition to being a Protopresbyter of the Greek Orthodox Archdiocese of America, he is also Protopresbyter of the Ecumenical Throne.